Environmental pollution and environmental destruction are serious problems throughout the world. In order to resolve these problems, comprehensive chemistry-based research and understanding of the natural environment are essential, because chemical reactions are the basis of all natural phenomena. 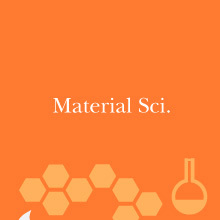 The Division of Environmental Materials Science conducts cutting-edge research and special education on the distribution and activity of chemical substances involved in environmental problems and on the development of novel methods for environmental remediation and environmental protection. We foster students' talents so that students can play a central role in problem solving.